Unemployment in Bulgaria was 4.7 per cent in February 2019, down from 5.4 per cent in February 2018 and unchanged from January, according to seasonally-adjusted figures released by European Union statistics agency Eurostat on April 1. 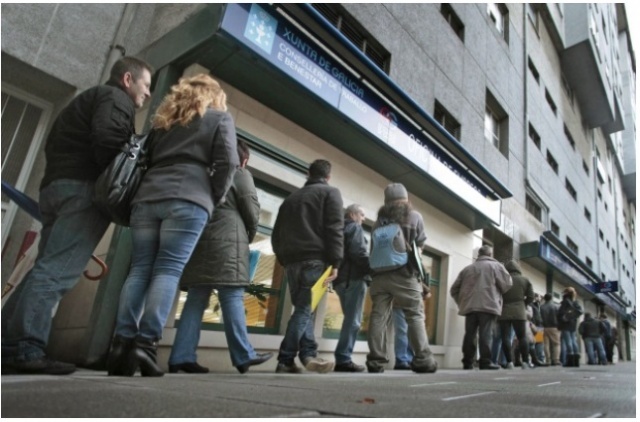 Bulgaria’s unemployment rate in February 2019 represented about 157 000 people, down from about 182 000 the same month a year earlier, Eurostat said. February 2019 was the latest in a succession of months that Bulgaria’s unemployment rate was below the EU average, which was 6.5 per cent – the lowest across the 28 member states of the EU since the start of the monthly unemployment series in January 2000, the statistics agency said. In Bulgaria, youth unemployment in February 2019 was 12.4 per cent, down from 12.7 per cent in February 2018. This represented about 18 000 Bulgarian under-25s, compared with 20 000 a year earlier. Eurostat said that the euro zone (EA19) seasonally-adjusted unemployment rate was 7.8 per cent in February 2019, stable compared with January 2019 and down from 8.5 per cent in February 2018. This remains the lowest rate recorded in the euro zone since October 2008. Eurostat estimated that 16.012 million men and women in the EU28, of whom 12.730 million in the euro zone, were unemployed in February 2019. Compared with January 2019, the number of people unemployed decreased by 102 000 in the EU28 and by 77 000 in the euro zone. Compared with February 2018, unemployment fell by 1.469 million in the EU28 and by 1.169 million in the euro zone. Among the member states, the lowest unemployment rates in February 2019 were recorded in Czech Republic (1.9 per cent), Germany (3.1 per cent) and the Netherlands (3.4 per cent). The highest unemployment rates were in Greece (18.0 per cent in December 2018), Spain (13.9 per cent) and Italy (10.7 per cent). Compared with a year ago, the unemployment rate fell in all EU countries except Denmark and Austria, where it remained stable. The largest decreases were registered in Greece (from 20.8 per cent to 18.0 per cent between December 2017 and December 2018), Cyprus (from 9.4 per cent to 7.1 per cent), Spain (from 16.2 per cent to 13.9 per cent) and Estonia (from 6.4 per cent to 4.2 per cent between January 2018 and January 2019). In February 2019, 3.309 million young people (under 25) were unemployed in the EU28, of whom 2.337 million were in the euro zone. Compared with February 2018, youth unemployment decreased by 222 000 in the EU28 and by 181 000 in the euro zone. In February 2019, the youth unemployment rate was 14.6 per cent in the EU28 and 16.1 per cent in the euro zone, compared with 15.7 per cent and 17.7 per cent respectively in February 2018.